"Despite the challenging economic climate, Furla enjoyed excellent results in 2011 and we are highly optimistic for 2012 both globally and specifically for travel retail," she explained. As the show celebrates travel accessories, these will take center stage at the Furla display. These include several brand new lines along with some old Furla favorites including the Piper and Piper Lux ranges, the Globetrotter, and Amazzone. The Papermoon bags are structured and targeted at fashion-conscious travellers. The Candy range is more playful, with fun rubber finishes and vibrant shades including neon hues, primary hues, and metallics. Furla has high hopes for its Tribe line, which combines low prices with convertible designs. The Beat bags feature dark moody colors and high-fashion designs. The Pop products are as youthful as they sound with vivid colors and modern details. And that's just the start of Furla's brand new designs! 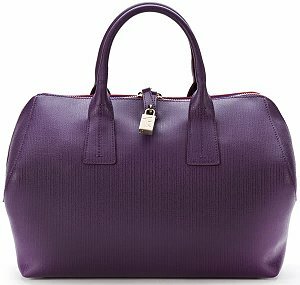 It makes sense for Furla to showcase as its travel lines, as its business strategy reflects a renewed commitment to its luggage and carry-on accessories. In accordance with this new focus, Furla will open new outlets at Las Vegas Airport and the Senses Duty Free downtown Galleria in San Domingo, Dominican Republic later this year. Kipling Marks 25 Years | Travel Shows, Art Exhibitions, & More!